We've gotten to where we are today thanks to our 118 years of craftsmanship and the continuous drive to innovate. A valuable partner for brands. Not only as a supplier but as a solution-oriented team player, as well. Our clients work in very different markets, at home and abroad, and have long working relationships with us. 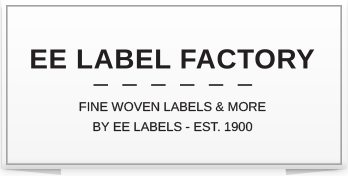 EE Label Factory is our B2B web shop and part of Van Engelen & Evers b.v., a family business. The 4th generation Evers are now in charge of the business. Quality, reliability, and speed are priorities for us. Our labels are completely manufactured at our factory in Heeze, Eindhoven Brainport Region. Our people use their expert craftsmanship to create beautiful finished products every day. We have our own design studio, R&D team, and skilled production staff, all part of a well-oiled team that will be glad to get to work on your order. We have long-standing relationships with brands for good reason. We guarantee quality and stick to the delivery times we've promised. 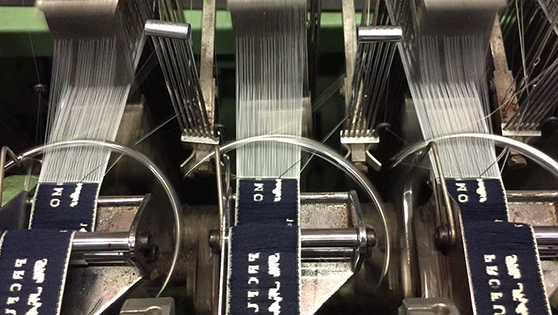 And deliver within 7 working days, very fast for a woven label! The labeling of a product is often neglected, but we think it's essential to be there when you need it. 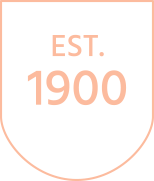 The brand label is, after all, what the end user sees, and uses to judge quality. In our online store, you can get started with your design and we'll guarantee a beautiful end result. But if you can't get what you're looking for online, you can contact us for personal advice by calling or e-mailing our sales team. We believe having the option to get personalise advice is important!